The DLS Module is a LVDS Transmitter indented to be used to interface LCD with built-in FPD-Link (Flat-Panel Display Link) or LDI (LVDS Display Interface). 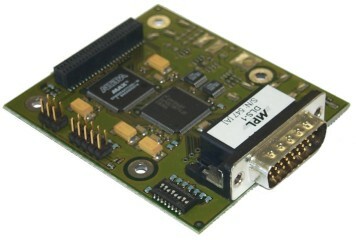 MPL does not provide a Receiver counterpart Module. To support as much FPD-Link and LDI Displays it is highly configurable via a DIP-Switch and/or an ISP PLD, for routing the Color-Bits. The DLS module fits directly on the MPLs PIPx MIPx and IPMx product lines. This solution can not be used with the PIP10 and PIP20 platforms.